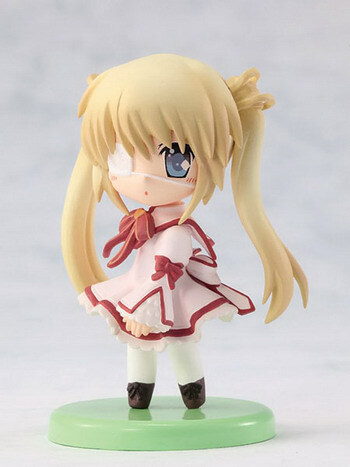 April 14th, 2011 By: GGT Category: 2011/04 release, Figure News. ASCII Media Works (manufactured by Toy’s works) is going to release the Toy’s works collection 2.5 Senri Akane ( 千里朱音 ) and Nakatsu Shizuru ( 中津静流 ) trading figure from the visual novel “Rewrite” ( リライト ) developed by Key. Will be released on April 30, 2011. Senri Akane will be bundled with Dengeki G’s Magazine 2011 Vol. 6, 990 yen (taxed in). 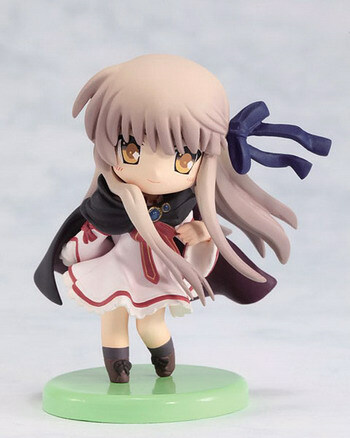 Shizuru Nakatsu will be bundled with Dengeki Hime 2011 Vol.6, 1,280 yen (taxed in).